Free Download The Wall: Medieval Heroes Game or Get Full Unlimited Game Version! Can you thwart the barbarian siege? 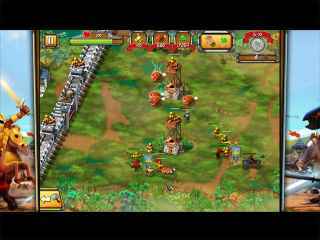 Use a variety of defensive units, towers, and traps to save the village from your attackers. In order to get advantaged of playing The Wall: Medieval Heroes full unlimiteg game version you must register the game. 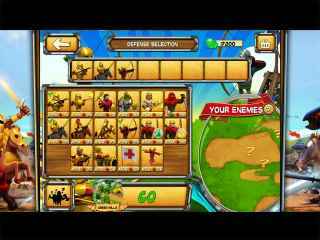 In The Wall: Medieval Heroes, defend your village, which is besieged by aggressive, jealous barbarians! Discover a new game genre that combines tower defense and resource management. Keep an eye on your villagers, who will gather the resources you need to create your army behind the wall, and deploy your units strategically in front of it! With a wide variety of units, towers and traps to choose from, you will have to find the best ways of diverting, slicing, exploding, poisoning and incinerating an infinite army of aggressive enemies. Recruit mortars, archers, powerful cavaliers, crazy saboteurs, terrifying warriors and shifty assassins, and stand fast! All hell is going to break loose in this rural idyll, with 8 villages and 7 game modes that you can play and replay as you wish!